I've been focused on dance history a lot lately. While studying dance, I've been reading about (and trying) Cunningham Technique. Cunningham Technique is a dance style based on the theory that dance and music should be able to exist independently of each other while sharing the same time and space. This technique was developed in the 1950s by choreographer Merce Cunningham and his partner, composer John Cage. 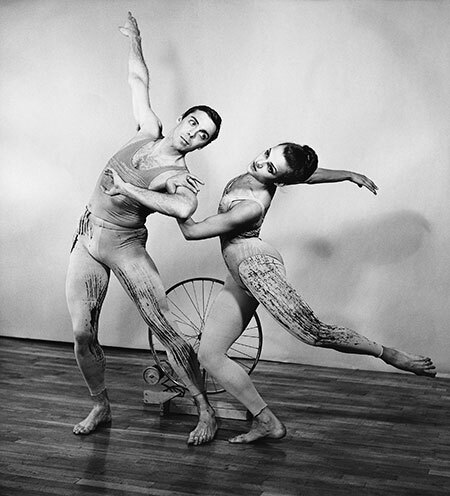 The two worked together to create music and corresponding choreography that played a major role in the shaping of the American avant-garde from the 1950s through the millennium. 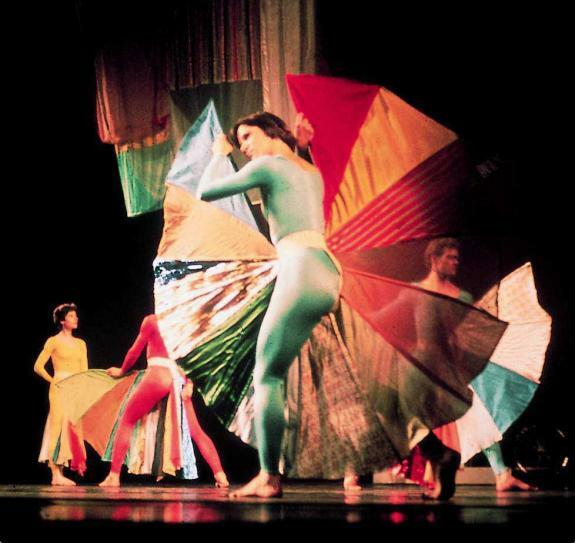 In the 1950s, Robert Rauschenberg, a former student of Bauhaus' Josef Albers at Black Mountain College (see my blog post on that dude from a few weeks ago, he rules), Rauschenberg began designing costumes for the Merce Cunningham Dance Company. Though Rauschenberg is mostly known for his work in Assemblage or Combine Art, his work with costume design, set design and lighting with Merce Cunningham and later, Cunningham's students Paul Taylor and Trisha Brown are the strongest elements of his work in my opinion. Throughout his career, Rauschenberg not only designed sets, costumes, and lighting, but he also performed and choreographed his own works. Being an artist working in various genres, Rauschenberg blurred the lines between his performance work and his work with other media, often creating pieces in his studio that would later become props, such as Minutiae (1954), which was later used for a Cunningham performance, or First Time Painting (1961), that was made while Rauchenberg was on stage at the American Embassy in Paris as part of the performance Homage to David Tudor (1961). Rauschenberg also created scenery by using found objects and sounds, developing his concept of “live décor,” or scenery generated by human activity. 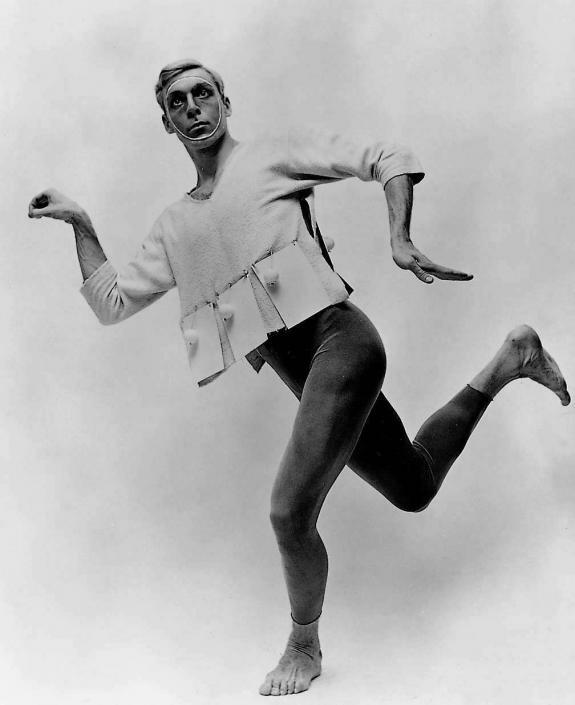 Rauchenberg performing in his own performance called "Pelican" (1963) after working with the Judson Dance Theater. 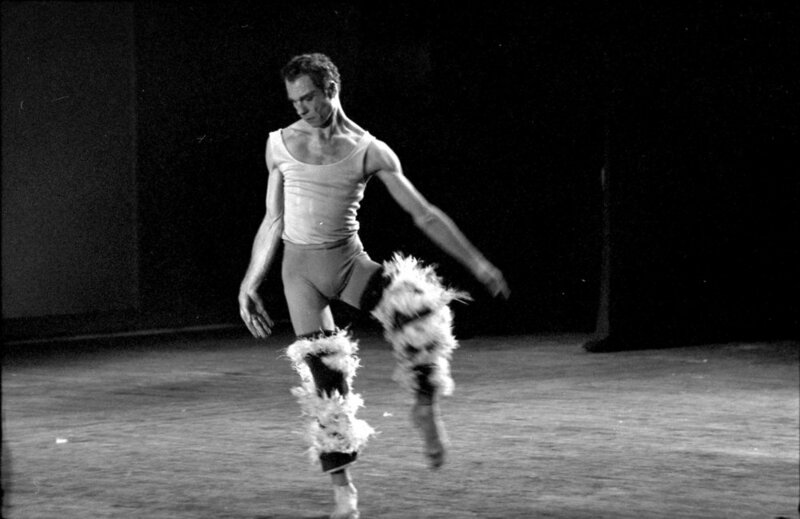 Rauchenberg's involvement with Cage and Cunningham positioned him at the cutting edge of postmodern dance, giving him access to performance on a greater scale. After nearly a decade with Cunningham, Rauchenberg worked with the Judson Dance Theater in New York during the 1960s (see my previous post on Meredith Monk for more on the Judson Dance Theater). The Judson Dance Theater is also one of my favorite parts of dance history because as an experimental collective, they included dancers, visual artists and performance artists, which resulted in performances free of narrative, emphasizing instead the purity of movement: sometimes conventionally dance-like, but also with mundane movements. 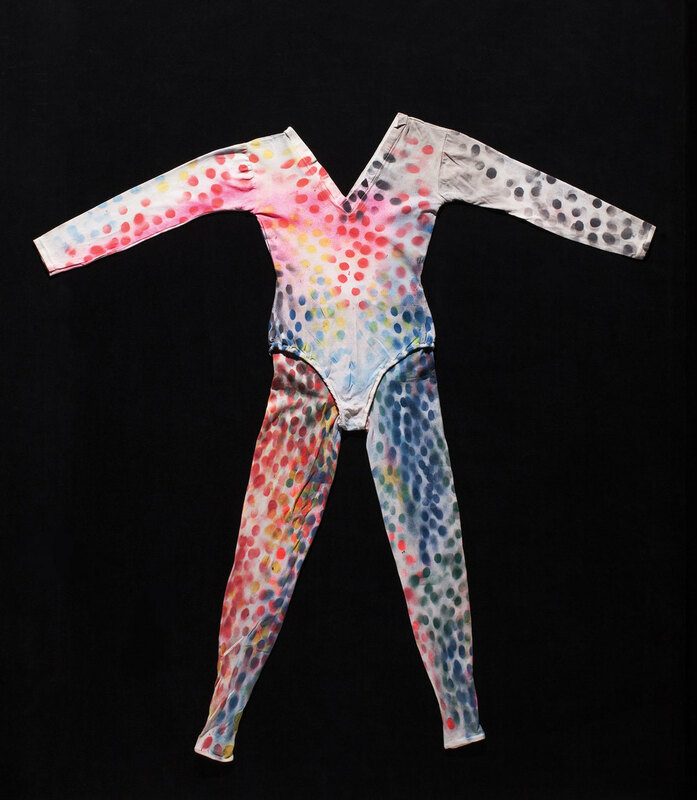 Through the 1980s to 2000, Rauchenberg continued designing costumes and working with performance, making a large body of work that is now considered art in its own right. Many of his pieces from sets and costumes are displayed in museums and galleries since his death in 2008.